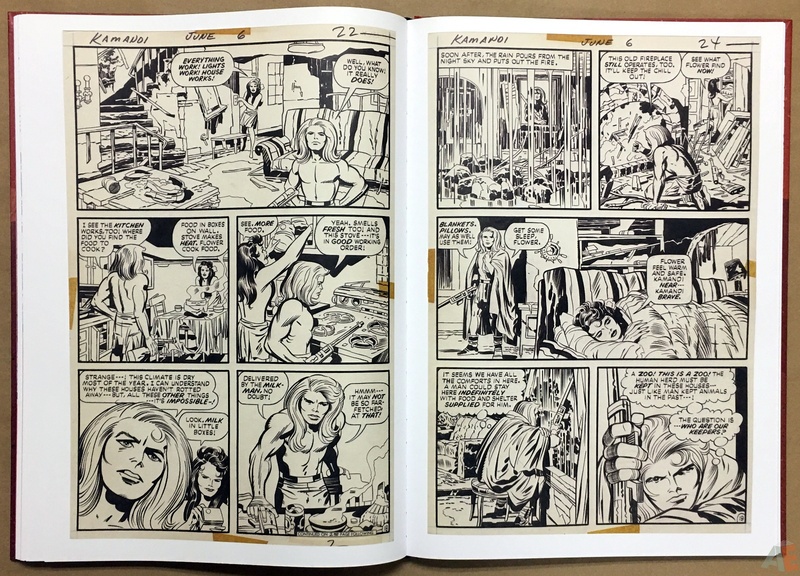 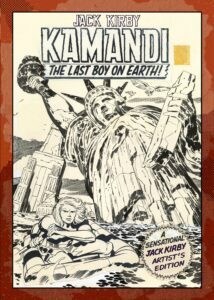 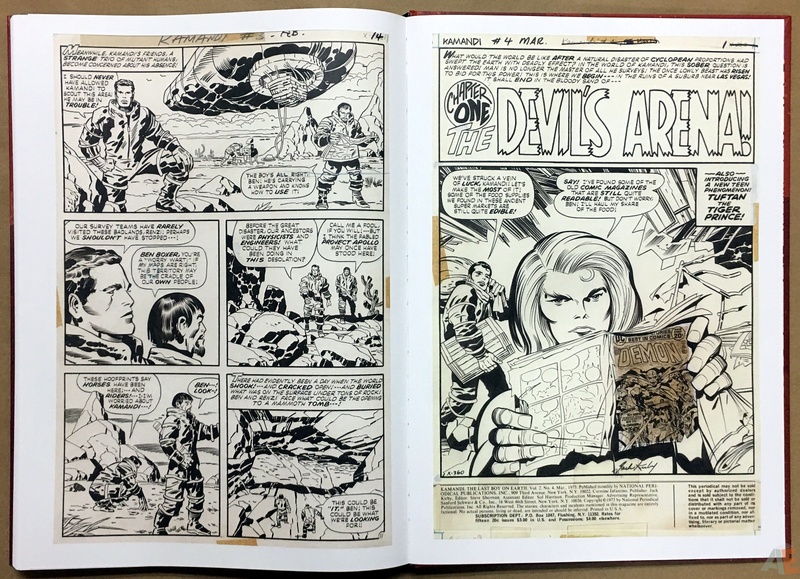 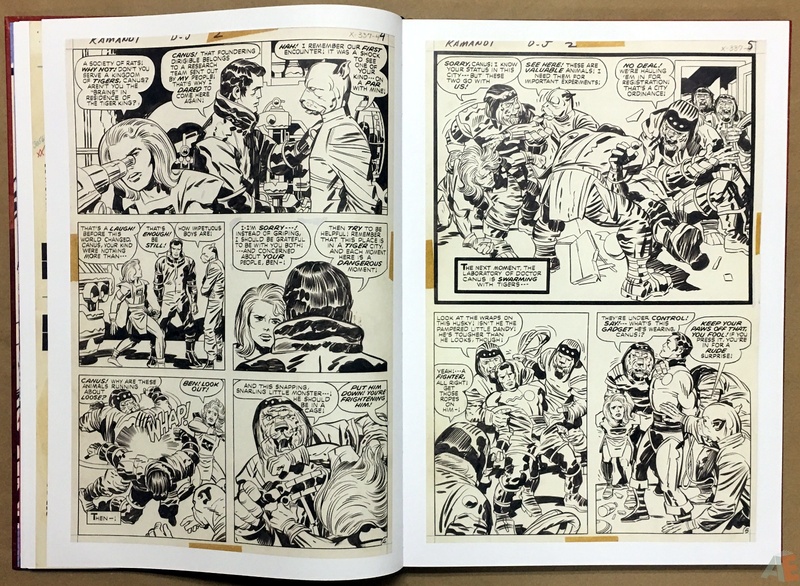 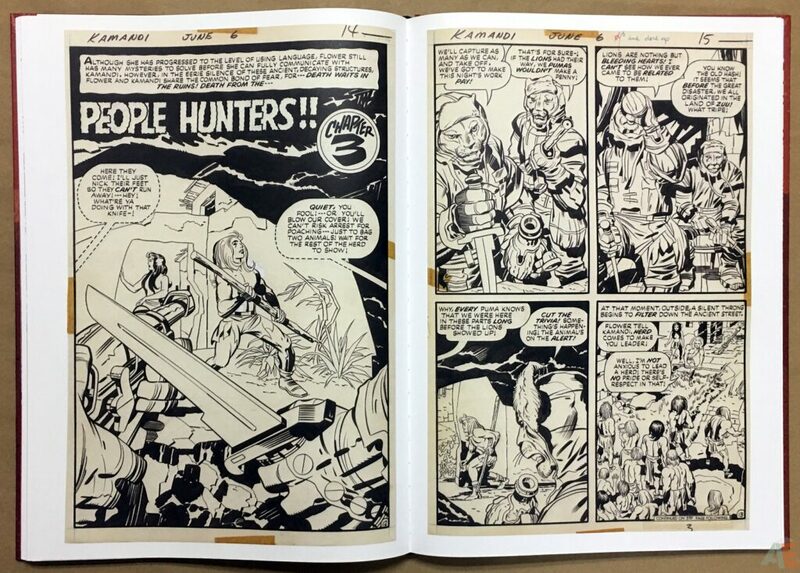 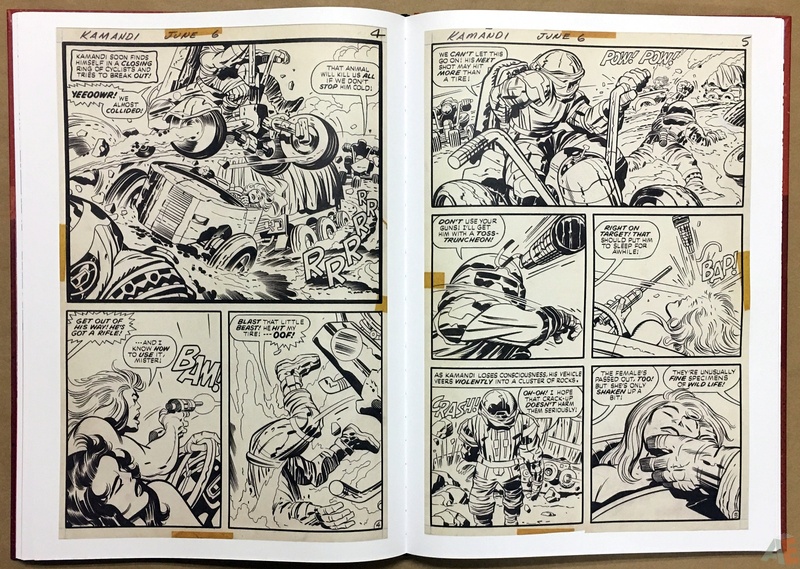 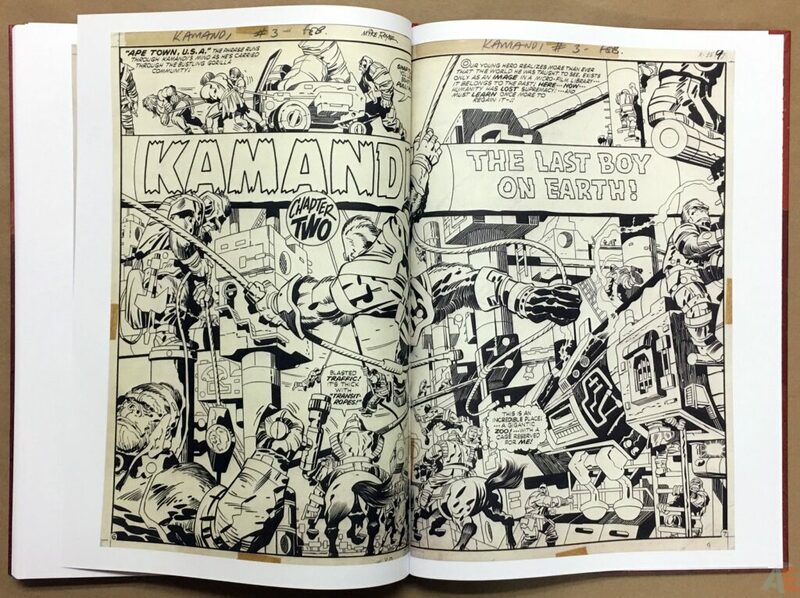 The third Fourth World Artist’s Edition, Jack Kirby Kamandi The Last Boy On Earth Artist’s Edition Vol 1 is another must-have volume of this artist’s work. This Artist’s Edition is full of new directions for the line. 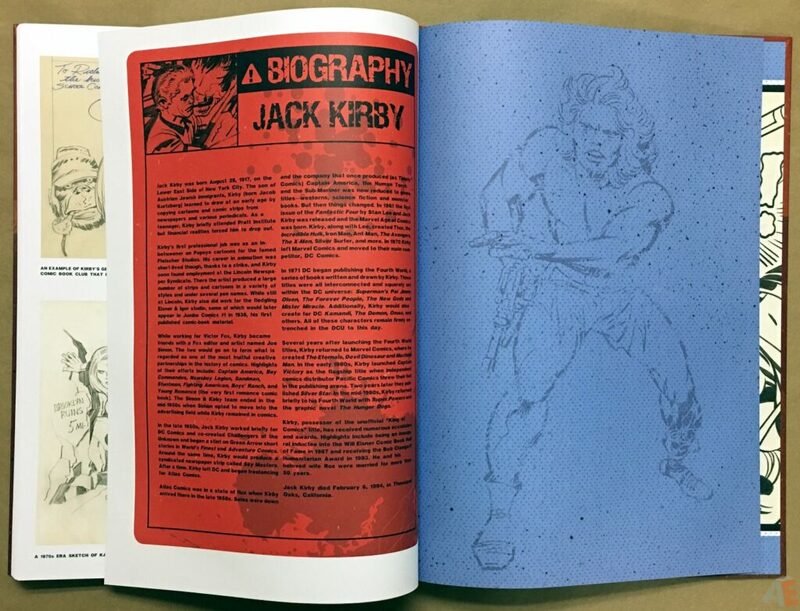 First off is the addition of “Vol 1” on the spine. 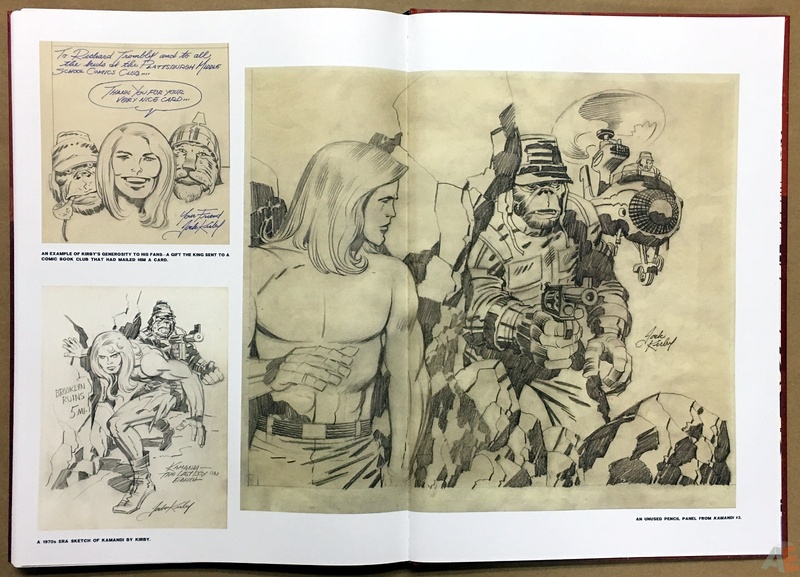 This doesn’t appear in the indicia or in the solicitations; there must have been sufficient material uncovered during the curation of this book to garner further additions. 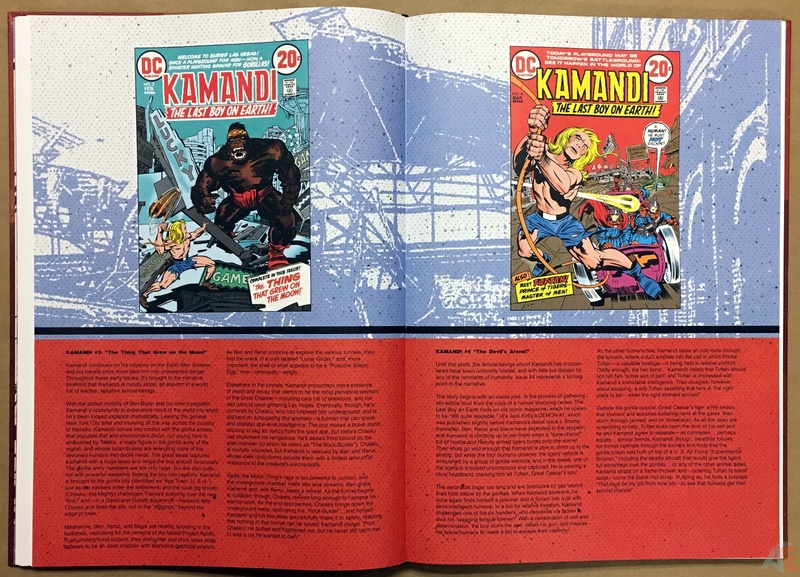 Also new is a one page synopsis with cover for issues skipped; three in this volume by Richard Howell. 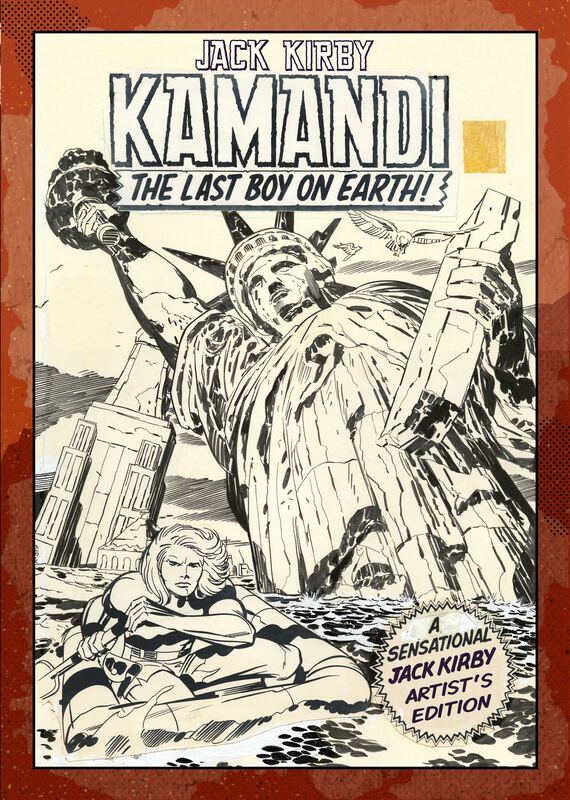 It’s a slick addition providing a consistent narrative, and something I hope to see in all future volumes. 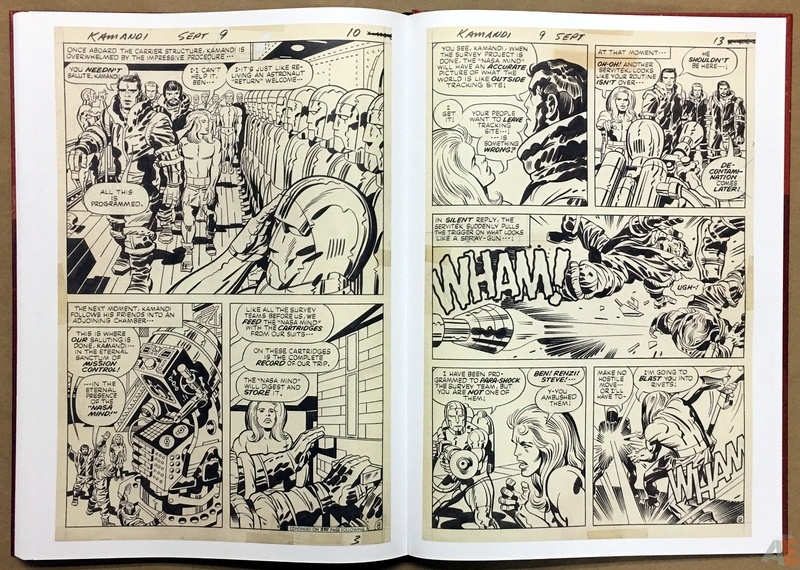 Included are six full issues with no missing pages. 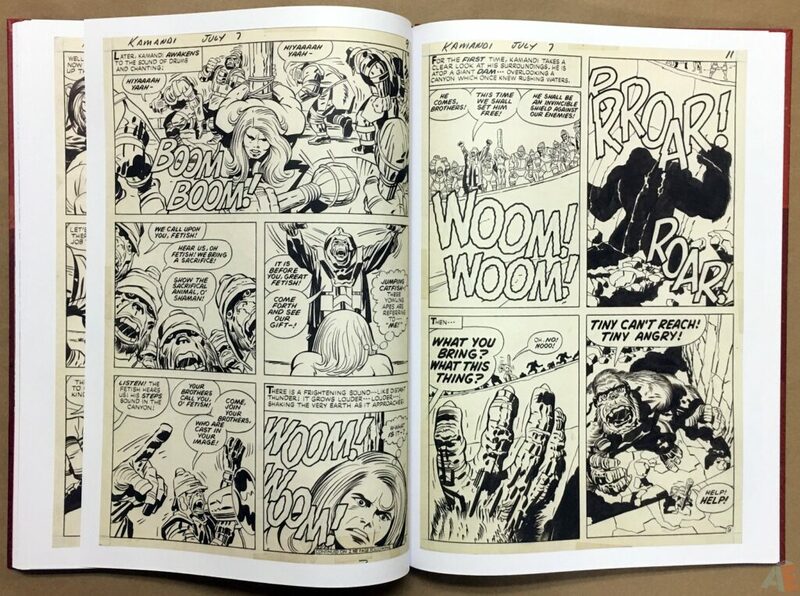 Along with that are the extras: pages from the missing issues and a few character sketches. 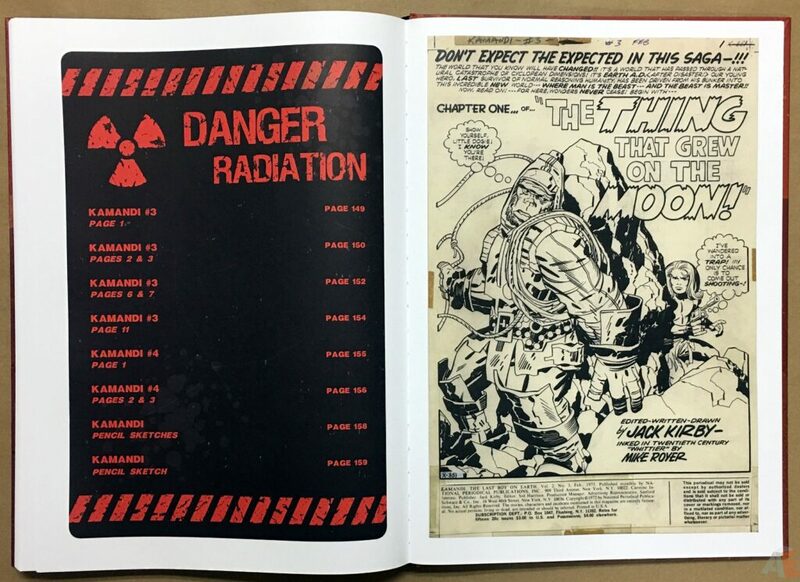 The material is clean and complete, with good and clear scans. 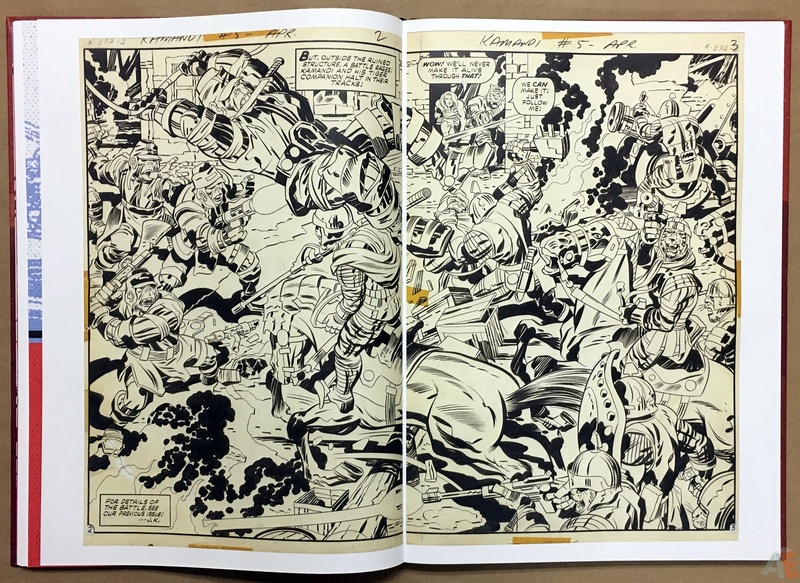 Variations in the blacks can be seen on most pages. 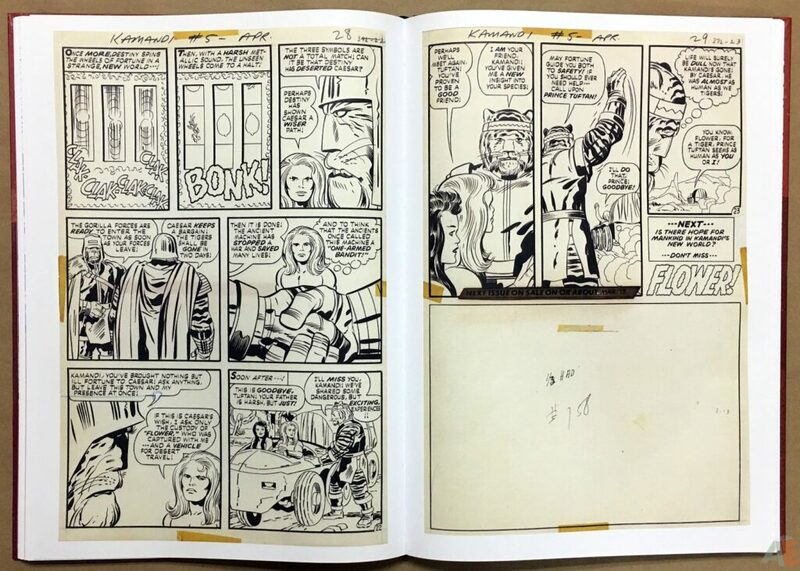 There is yellowing, but it isn’t extensive or distracting. 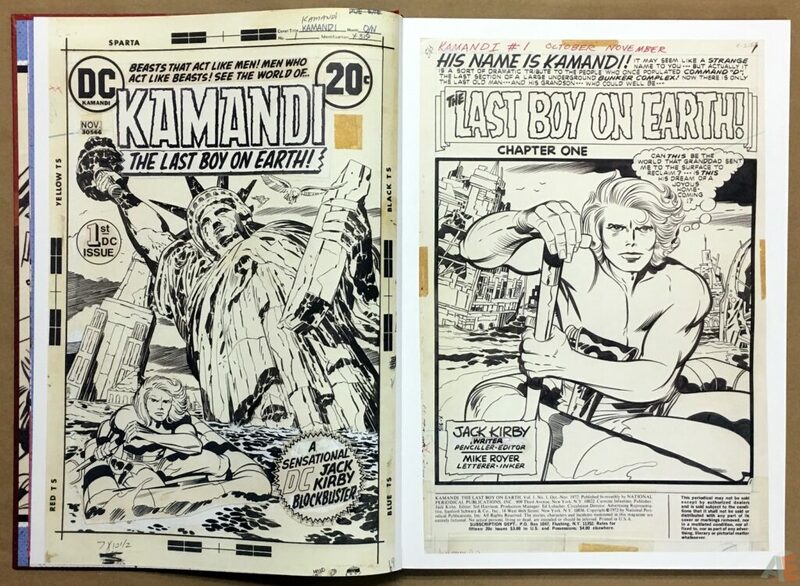 In fact most pages are tan. 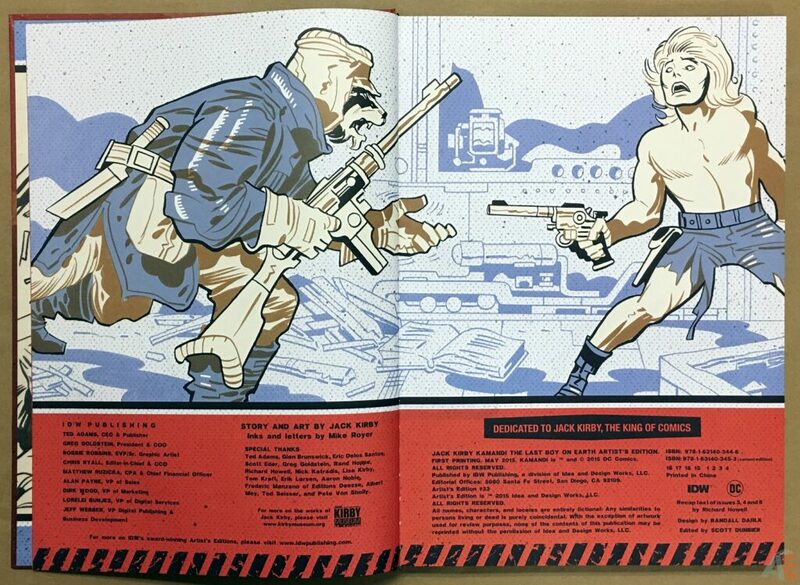 It’s nice to see the covers amongst the issues instead of stacked up at the back. 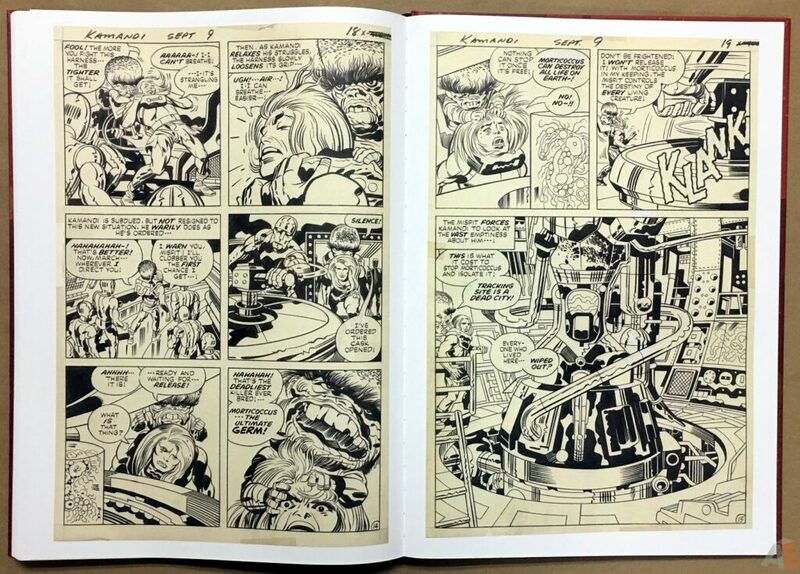 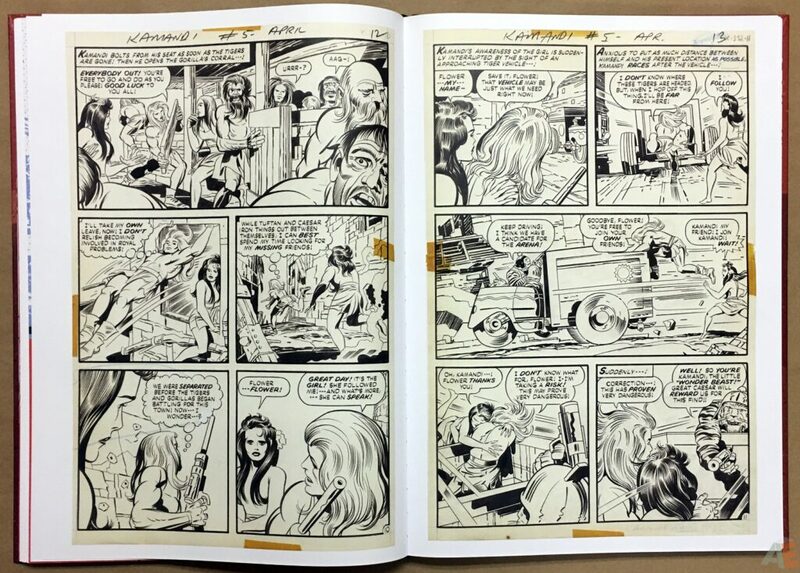 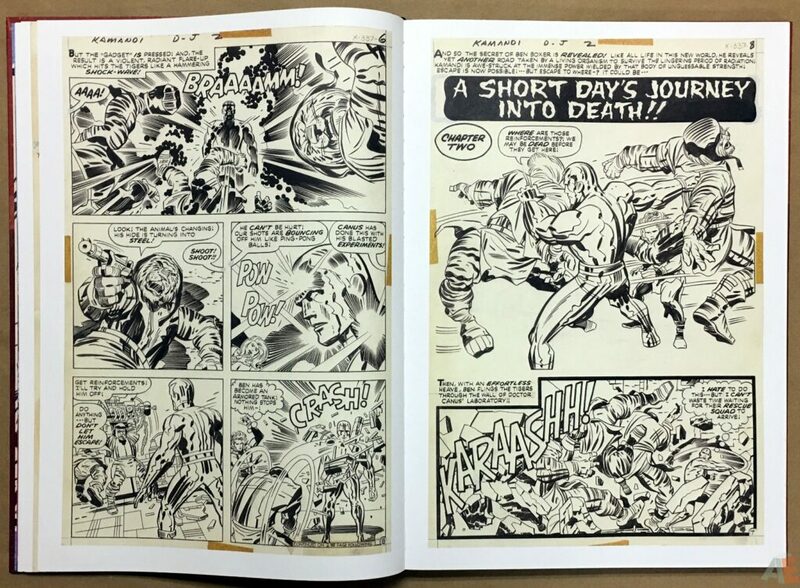 There are many, many stunning pages in this collection, showcasing Kirby in his later period. 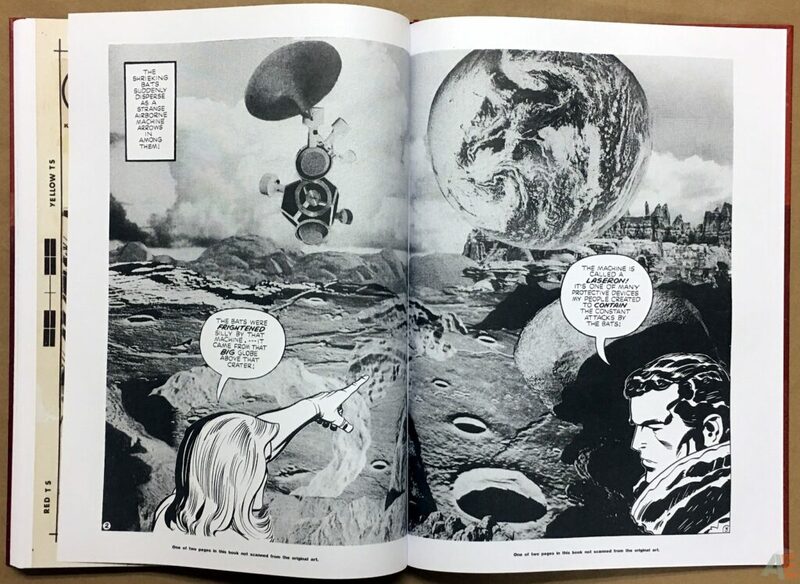 He seemed to excel with the character Flower, as seen above. 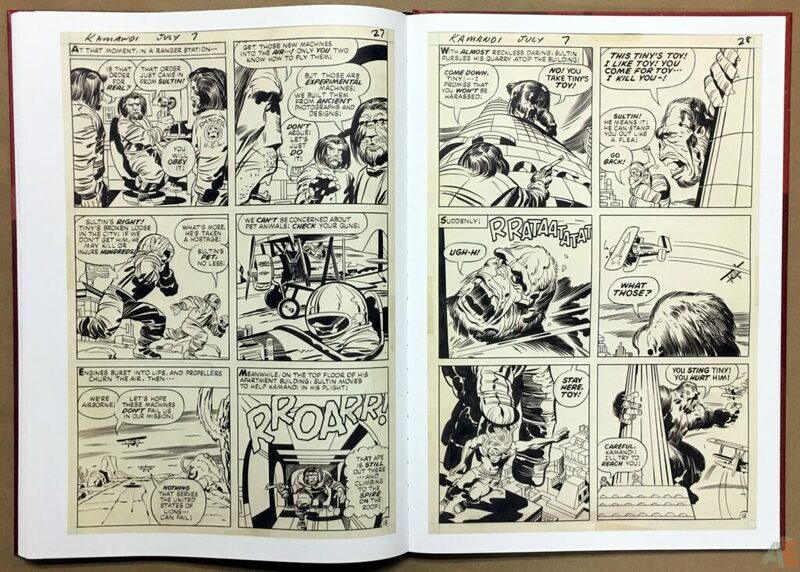 There are some panels that look very “un-Kirby”, like the last panel in the first image above. Production is, as always, consistent and top notch. 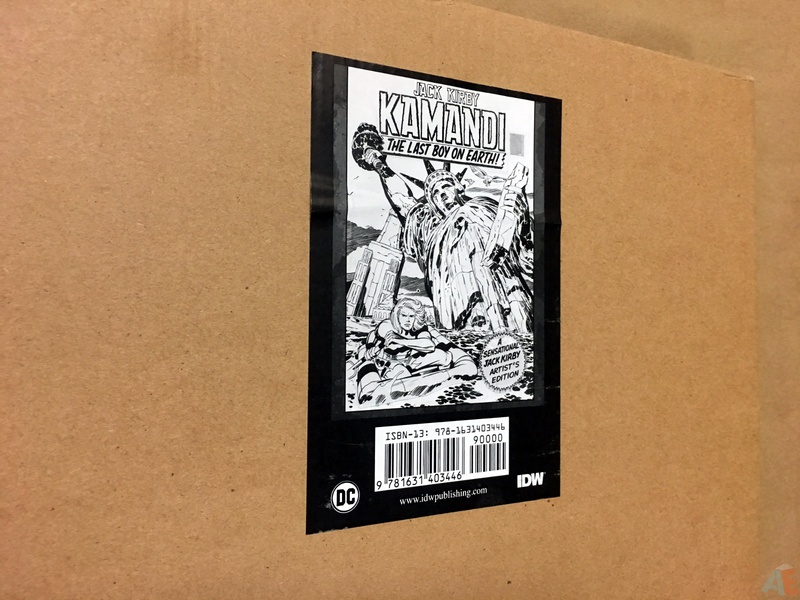 The book was shrink-wrapped and came in a cardboard case. 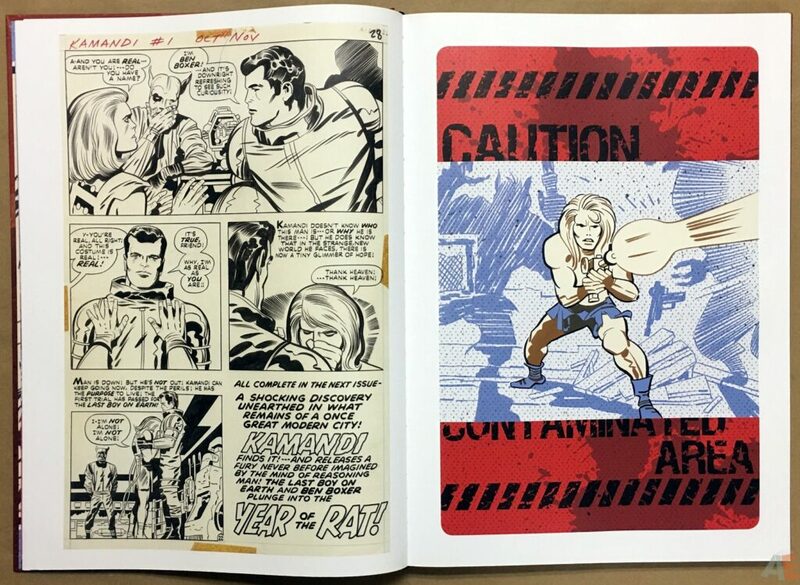 The product sticker is black and white, a step back from the recent colour stickers. 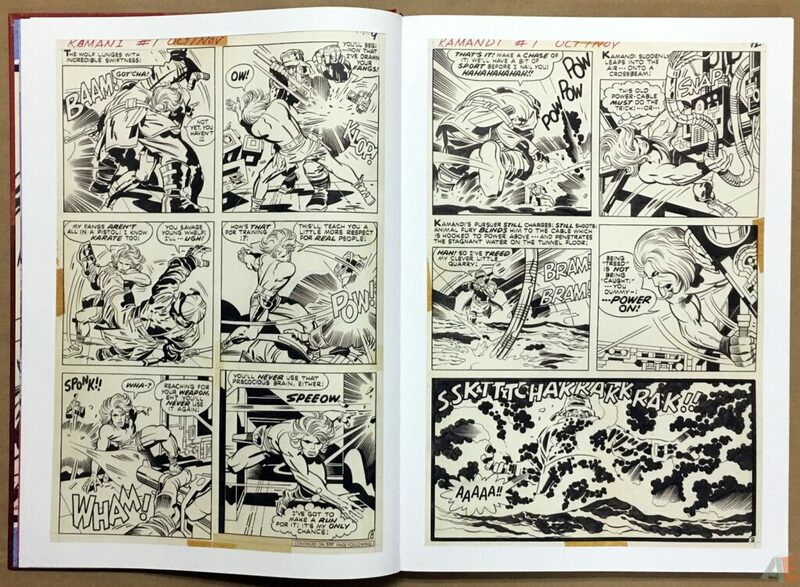 Binding was a little tight with few pages laying flat. 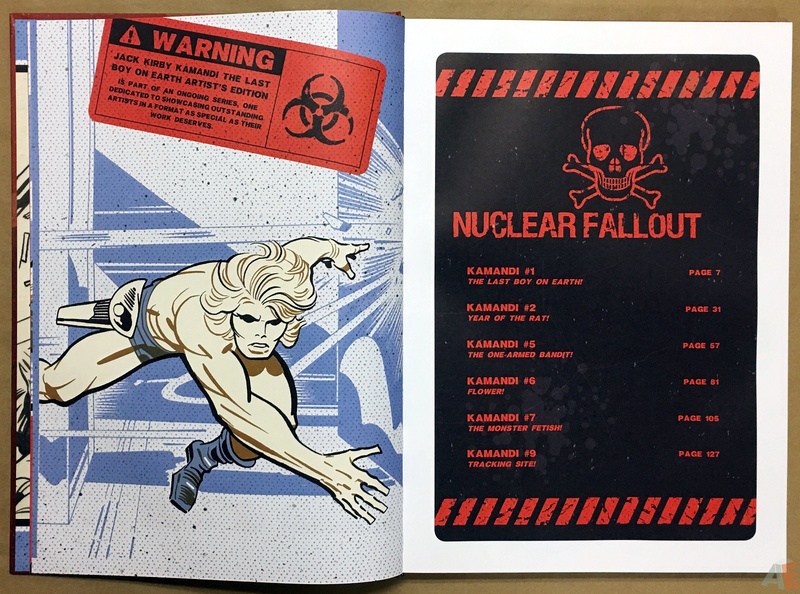 When designing this Artist’s Edition book, I was inspired by hazardous waste and radiation signs. I added a little grit and aging to everything to make it look like it’s been exposed to the elements and it didn’t hold up too well. 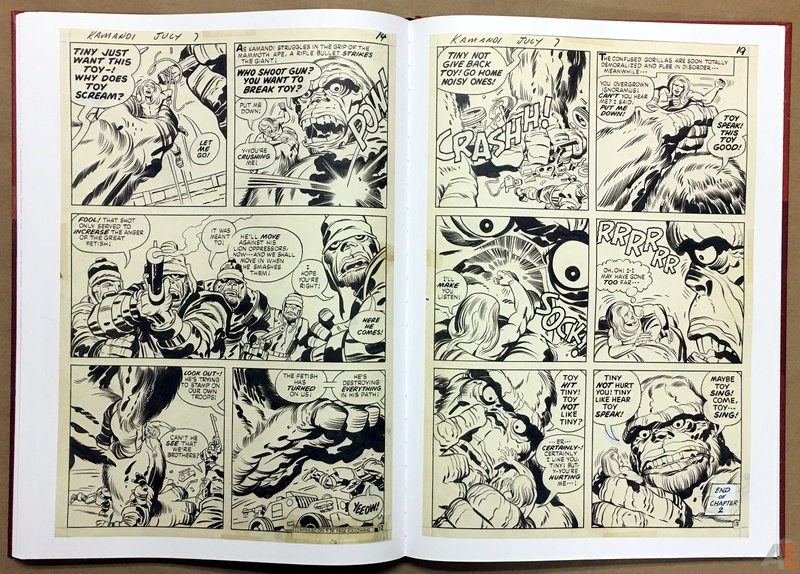 I also kept the palette very basic and limited. 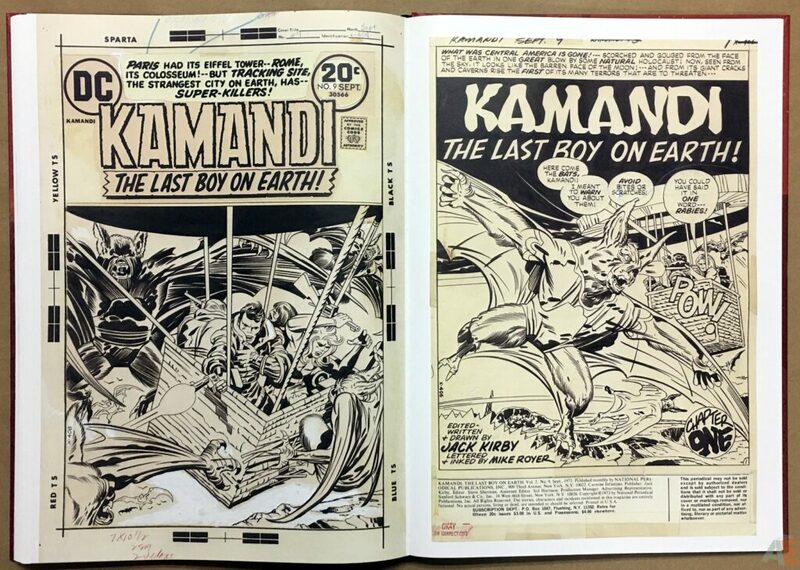 I think simpler is better.